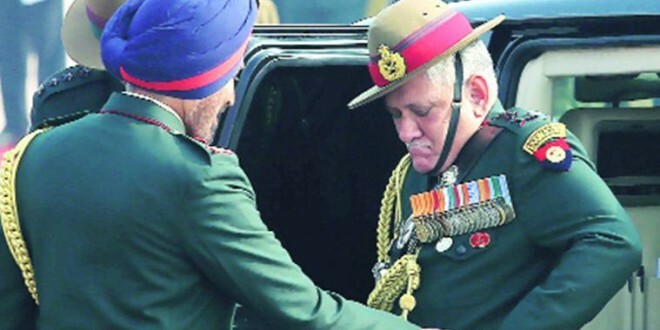 On Friday, the Army Chief had announced a new system for redressal where any soldier could approach him with any grievance, which had not been addressed. He had also assured that the identity of the complainant would be kept a secret. This process would involve the Army Chief’s Complaint and Suggestion Boxes at the Army Headquarters, followed by various Command Headquarters and lower formations. On Sunday, the Army chief also conceded that terror activities had gone up in Jammu and Kashmir in past few months, and praised the role of security forces in the strife-torn state. “Be it LAC (Line of Actual Control) or LoC (Line of Control), we will take the appropriate action and our soldiers are doing a commendable job at all fronts,” he said. General Rawat also spoke about the situation on the China border and measures initiated to reduce tension between the two sides. “On the northern front, India wants peace with China. Both sides are adopting confidence building measures (CBMs) so that tension on the border can be reduced. Despite transgressions on LAC, the armies on both sides have improved on mutual coordination,” he said. Earlier, the Army chief inspected the parade at the Field Marshal Cariappa Parade Ground, where contingents from six different regiments took part. At least 87 defence attaches from 35 countries were present at the ceremony, where a live firing demonstration was also carried out. Is the Tea Party Hurting the Republican Party?